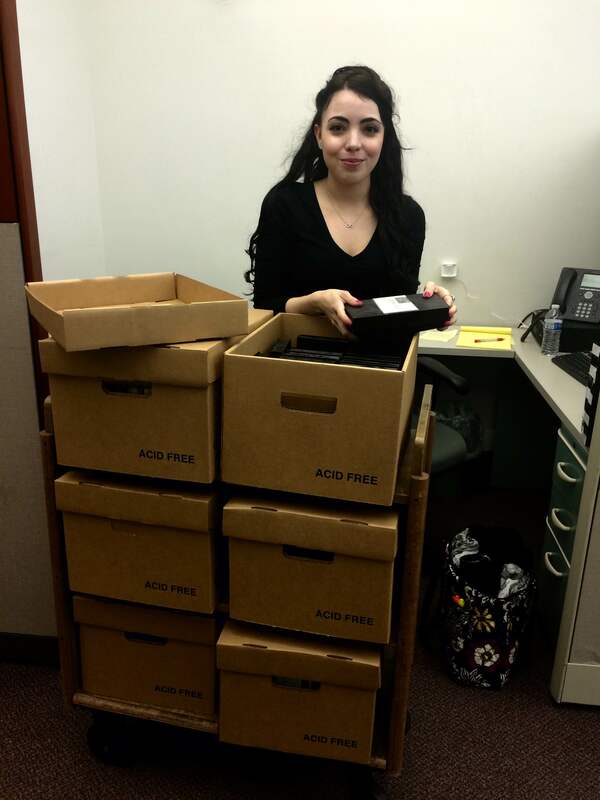 Intern Michelle Krause with audio-visual materials in the library’s collection. I am a graduate student in the Moving Image Archive Program at New York University’s Tisch School of the Arts. To complete the program, students must complete two semester-long internships and one full-time summer internship. This semester I completed my first internship for the program at the New York Academy of Medicine, under the supervision of Archivist Rebecca Pou. When the opportunity presented itself to intern at the New York Academy of Medicine, I immediately applied for the position. I come from a family of doctors and am extremely interested in the medical field. I knew I would be fascinated to work on preserving a collection of audiovisual materials relating to medicine. I was fortunate to work with three collections throughout my internship at the Academy. 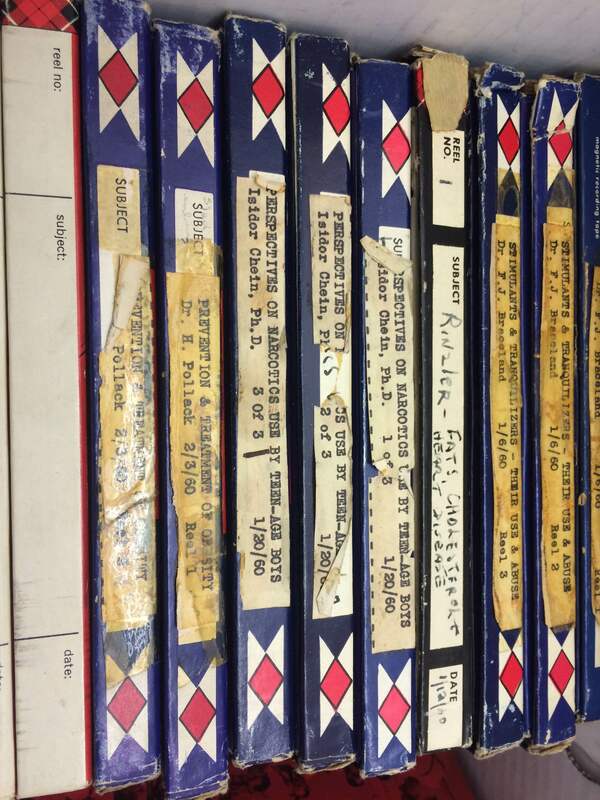 The largest collection I worked with consisted of 447 magnetic recording tapes (in reel-to-reel format) of medical lectures recorded in the late-1950s to the mid-1970s at the New York Academy of Medicine. My duties included organizing the materials and corresponding the reels with their appropriate series. After this task was complete, I catalogued all of the information on each reel into an item-level spreadsheet. Audio reels in the library’s collection. Throughout the course of my internship, I gained and strengthened numerous skills; for example, collection management, inspection, cataloging and knowledge regarding audiotape reels. Before embarking on this internship, I had no experience in collection management (I would eventually take a course on the topic during the spring semester), however after having completed the internship I feel completely confident in the field. It was especially helpful that Rebecca allowed me to choose my own method of assessing and cataloging the collection; as a result I felt confident in my choice of action, simultaneously improving my skills as a cataloguer. I devoted countless hours to inspecting the audiotape reels, which emphasized to me that it is necessary to perform tasks slowly if one wishes to complete a thorough assessment of a collection. 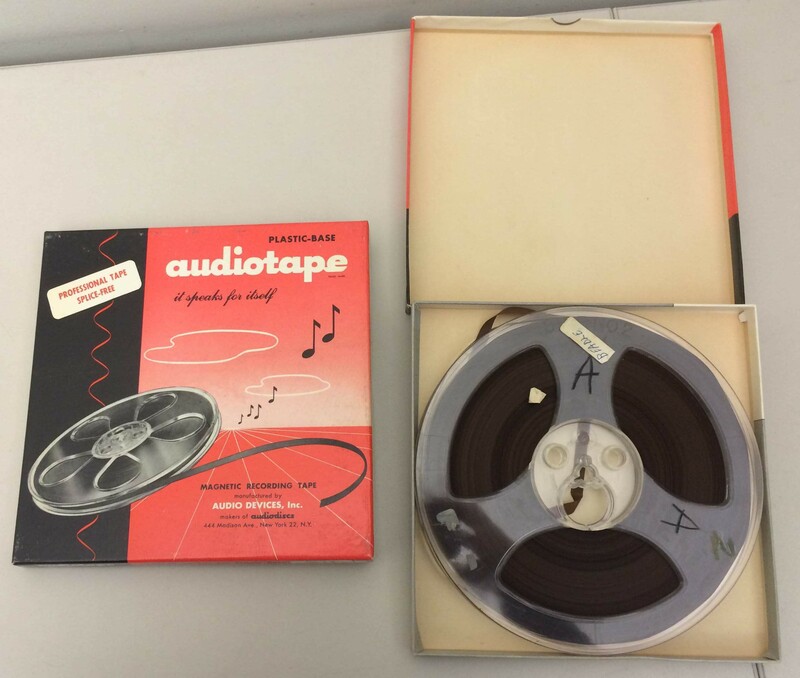 Completing this internship has increased my knowledge of magnetic recording tape, especially in reel-to-reel format, as well as how to correctly identify damage to audiotape reels. I could not have asked for a better internship or supervisor this semester so I can only hope that my experience this semester is repeated in future internships. Because of my work with the collection, the library now has a clearer picture of what these collections contain, and can move forward with work to preserve them and make them more accessible. This entry was posted in Collections, History of medicine and tagged audio, audiovisual materials, collection management, internships, magnetic recording tapes, reel-to-reel by nyamhistorymed. Bookmark the permalink. Oh how fabulous and delightful! I can only imagine in my dreams. Was no effort made to transcribe any of the tapes into digital media?